The Surge 7.62 from the boys at Rugged Suppressors out in South Carolina is the first – truly modular – 30 caliber rifle silencer to hit the market. Henry Graham and Michael Derdziak teamed up in 2014 with a collective “boat load” of experience in both the suppressor industry and modern machining processes. With Henry at the CNC and Michael on the phones, they set out to make a splash in the industry with a simple concept in mind: To create innovative and superior products made by gun guys, for gun guys. The kind of silencer that you would bring home to meet your mother. The word “modular” gets thrown around quite a bit. When we say this thing is “truly modular,” that is what we mean. 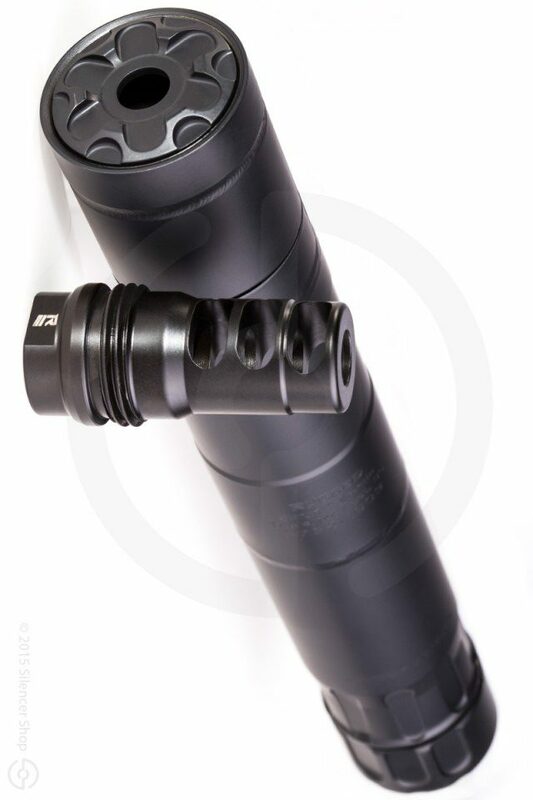 The Surge introduces Rugged’s ADAPT Modular Technology that lets you change the size and configuration of your silencer with ease. Not only does it have a removable section of the tube (allowing you to go from a full-size 9” silencer to a short 7.5”) it is also a solid performer on sound. Whether you are just starting out in the silencer world or you are a crusty veteran stamp collector, the Surge takes the guess work out of the equation. When you want to jump from your precision bolt-gun to your short-barreled pig slayer, there is no longer a need to spend twice the money (and pay Uncle Sam again).